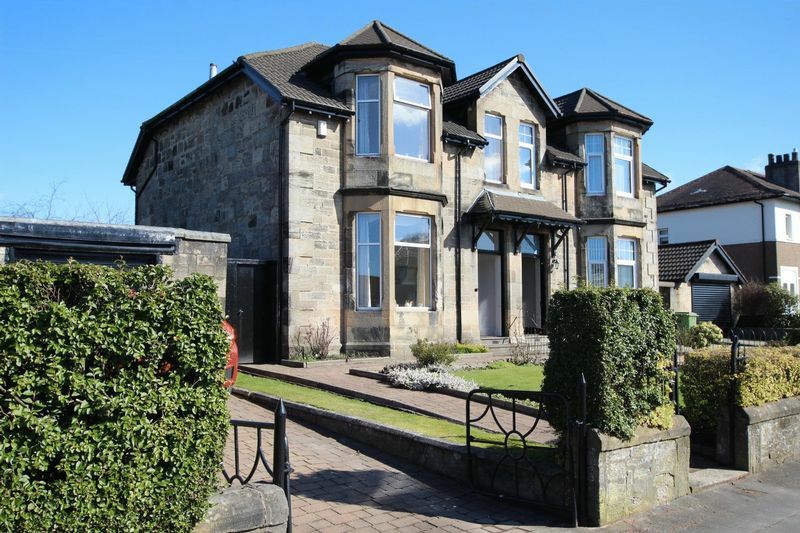 This well maintained traditional sandstone semi detached villa sits within the prestigious and ever popular address of Dumbuck Crescent. 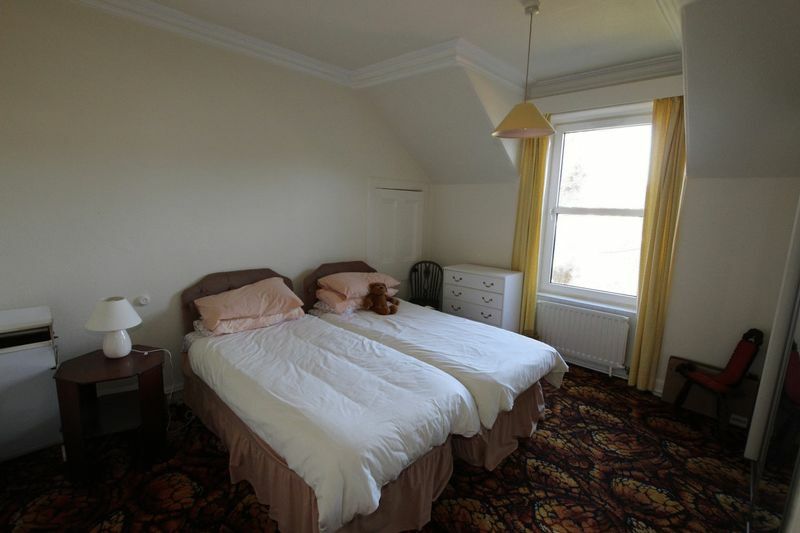 Offering extremely generous accommodation over two levels and retaining many original features combined with modern facilities such as gas-fired central heating and double glazing. 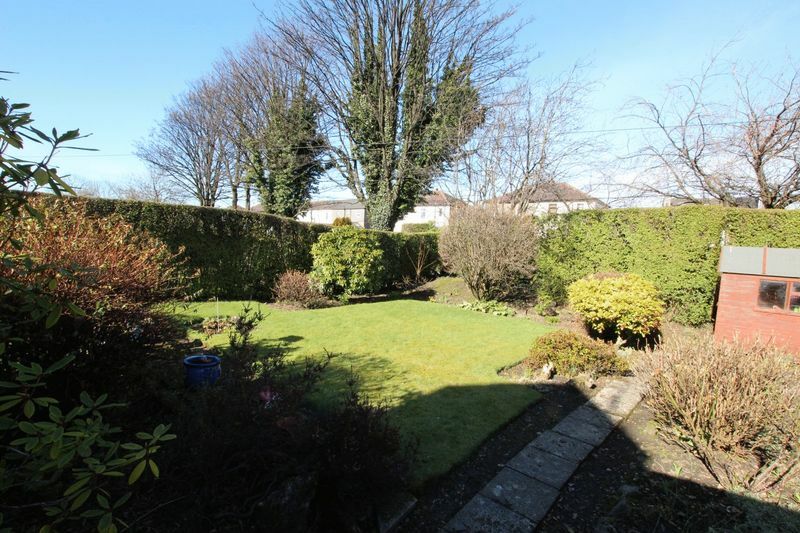 The generous plot surrounding the property adds to the appeal with enclosed privacy at the rear. A single garage and driveway afford off street parking. Sturdy storm door provides access to vestibule through solid timber door to reception hallway . 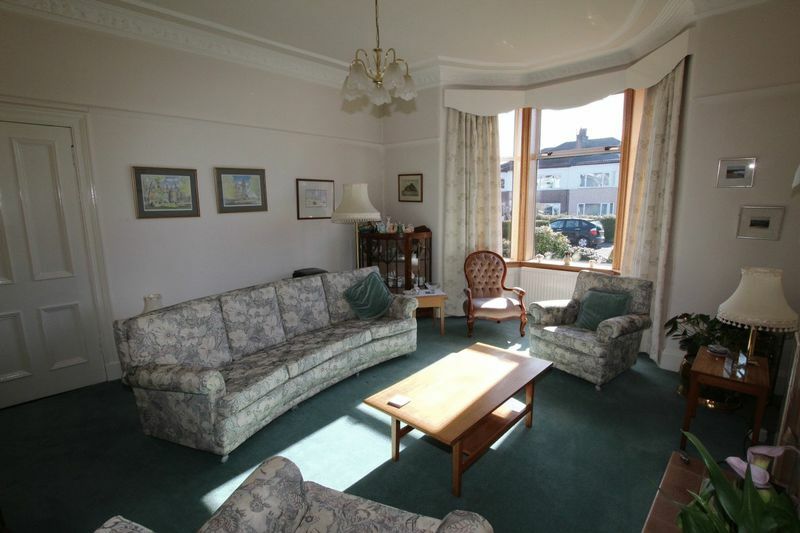 The bay window sitting room to front is of an extremely generous proportion and has fitted carpet , light wall coverings, picture rail and ceiling coving. Display alcove and tiled fireplace on focal wall. 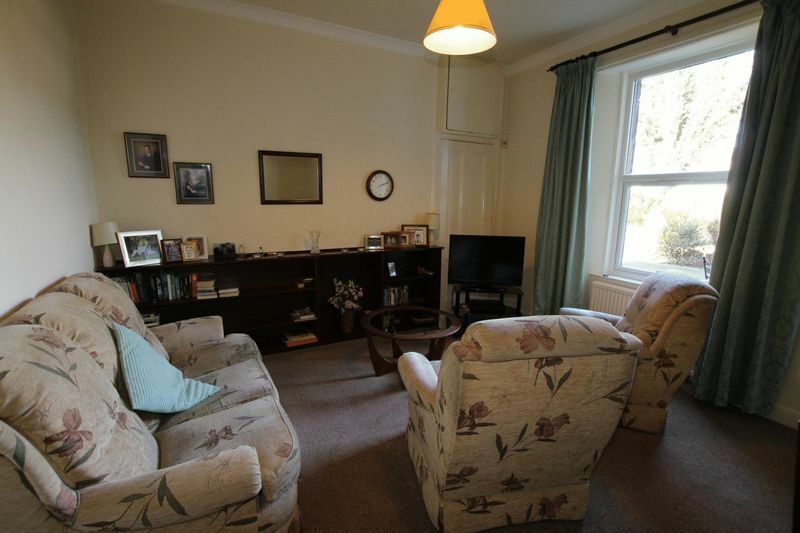 Further public room at rear of property is presently used as living room however sufficient floor pace including recess area for family dining. 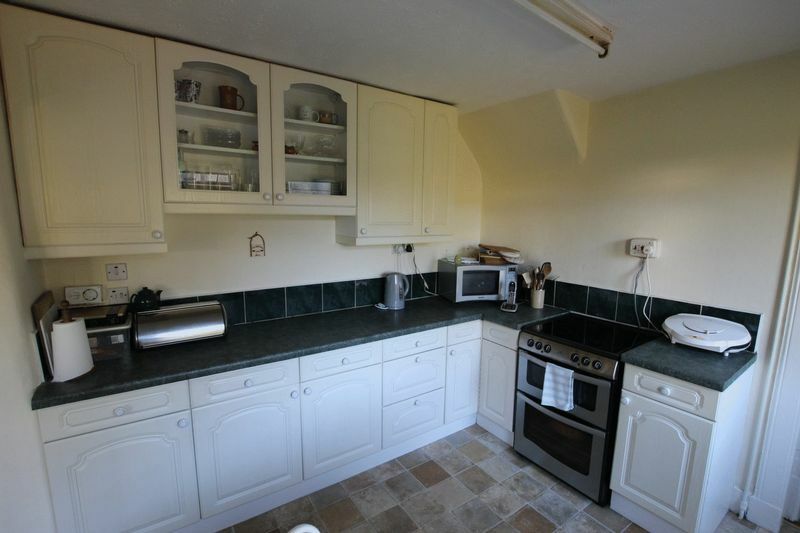 Beyond lies the breakfasting kitchen with an array of wall and base storage units and free standing electric cooker. 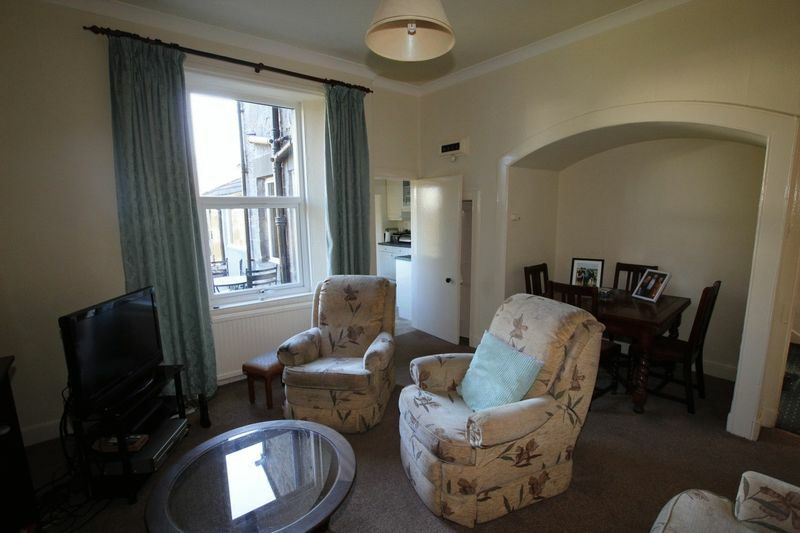 Space for casual dining and access to rear garden. Through from kitchen to good size utility and laundry room. 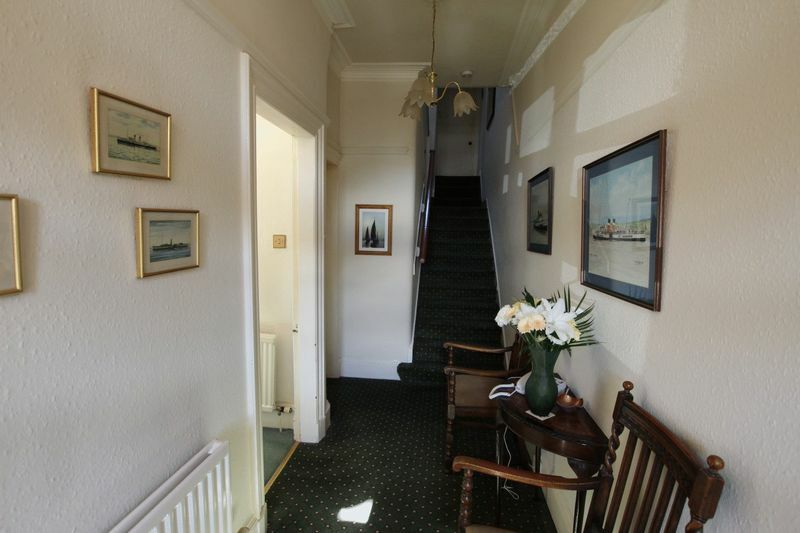 Carpeted staircase rises to half landing. 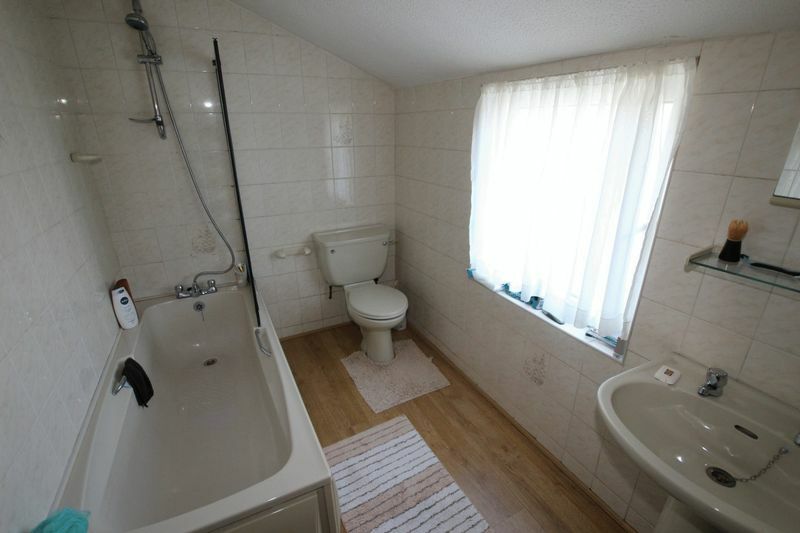 Fully tiled family bathroom with 3 piece coloured suite. Separate cloakroom fitted with low flush wc set and wash hand basin. 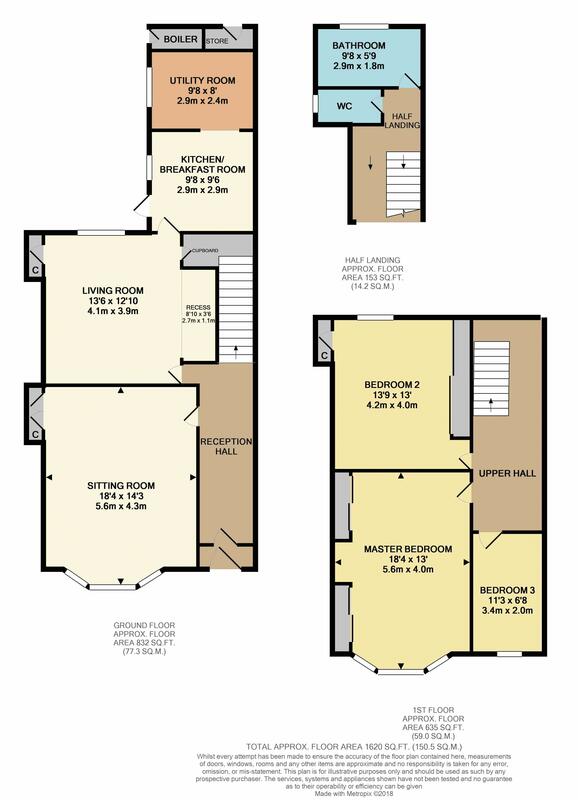 On the upper level two spacious double bedrooms , both having in built wardrobe facilities. 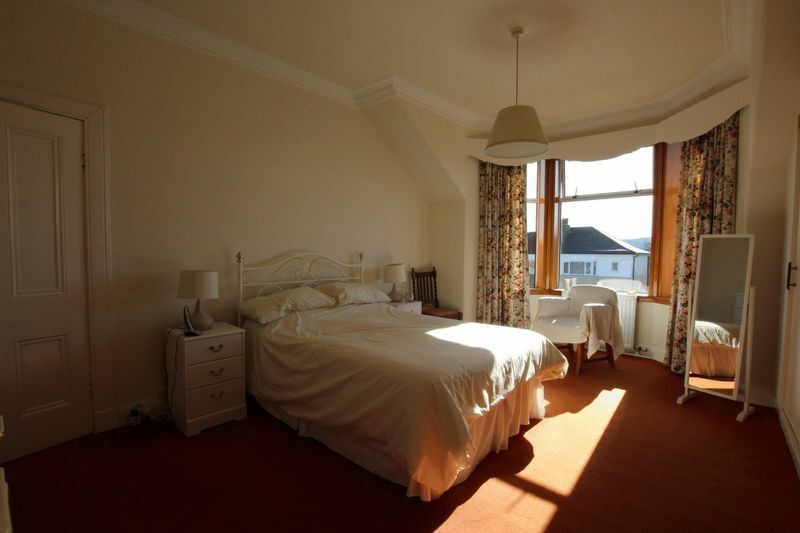 The master bedroom to front has the benefit of bay window projection. 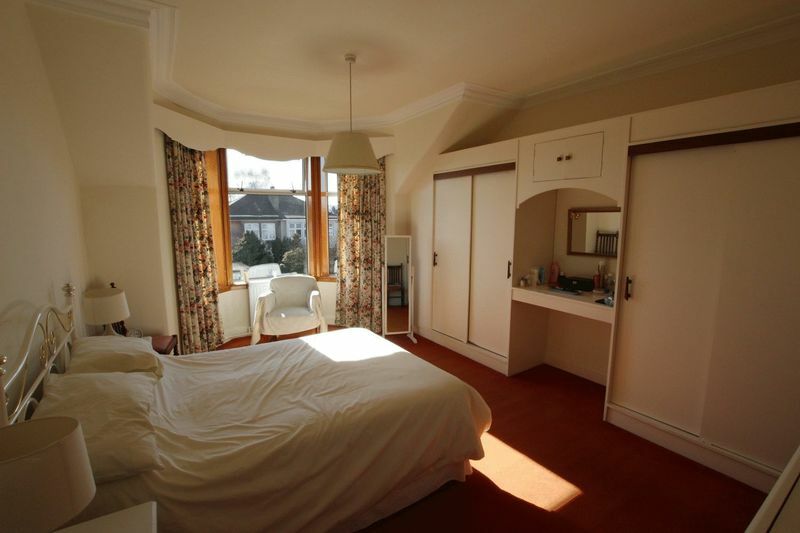 Third bedroom is of a single size and has ceiling access to floored loft via fold down ladder. Monoblock driveway to front offers off street parking for two vehicles . 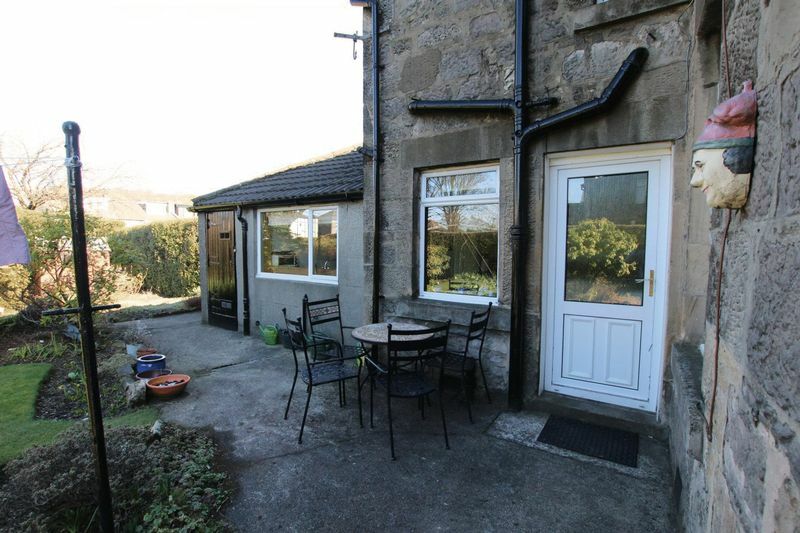 Larger than average size single garage with power and light up and over door, pass door at side, and access from rear garden. 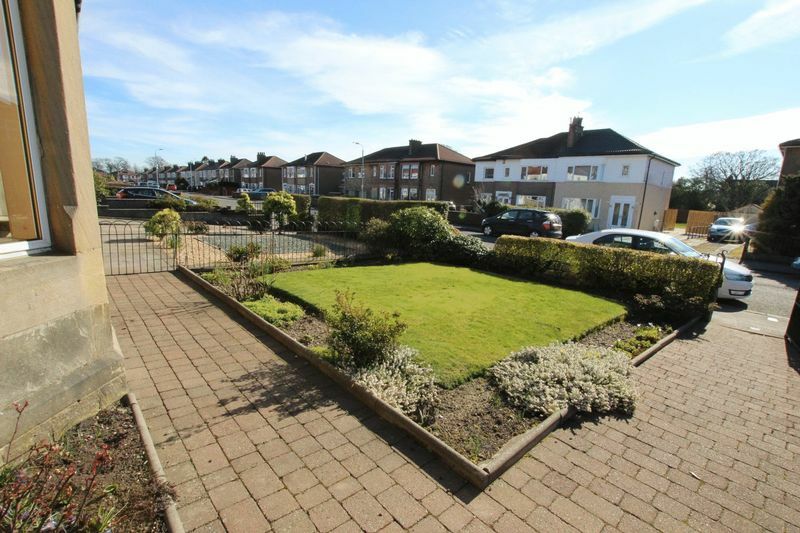 Monoblock paving to front, level lawn with perimeter wall and hedging, flower and shrub border. 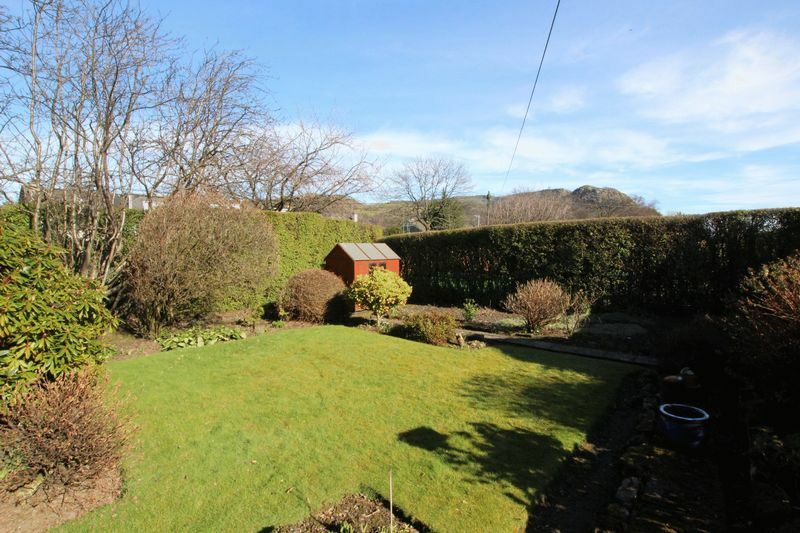 The rear garden is fully enclosed and has 3 distinct areas of drying green, leisure lawn and cultivated plot. 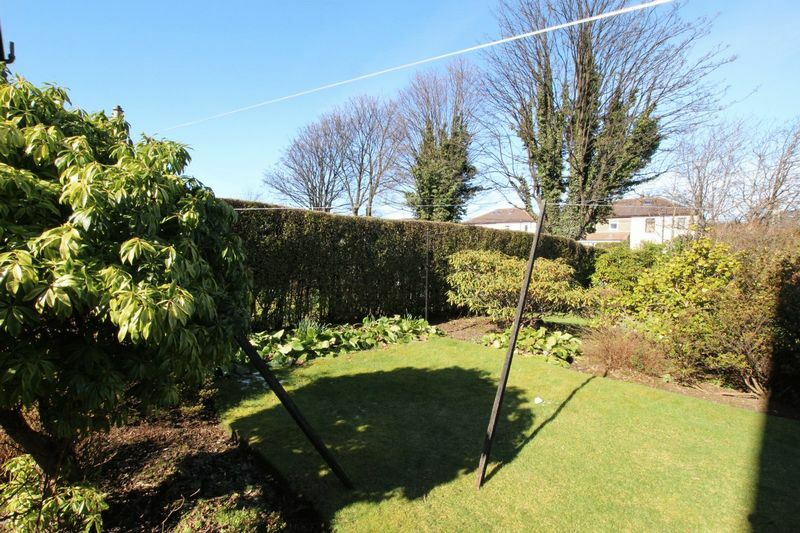 Mature shrubs and trees and hedging to perimeter for maximum privacy . External cellar housing the central heating boiler and further cellar storage beyond. Garden shed. 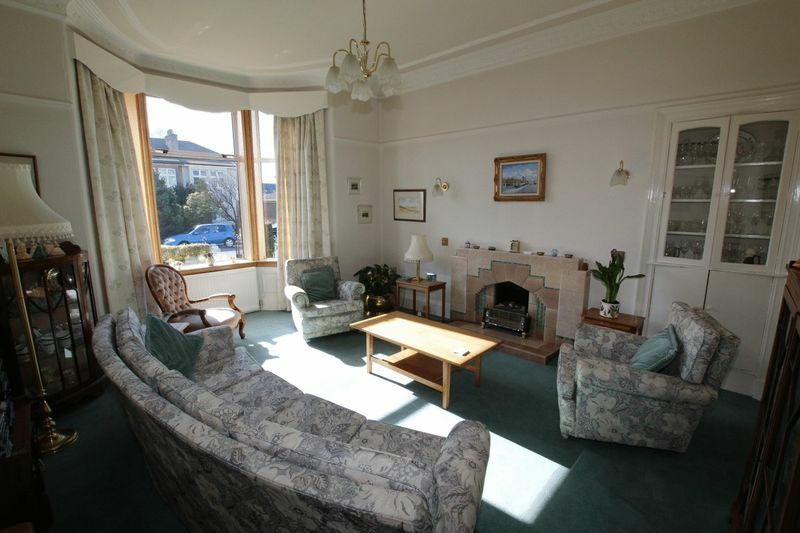 Ideally located for all of Dumbarton’s amenities. 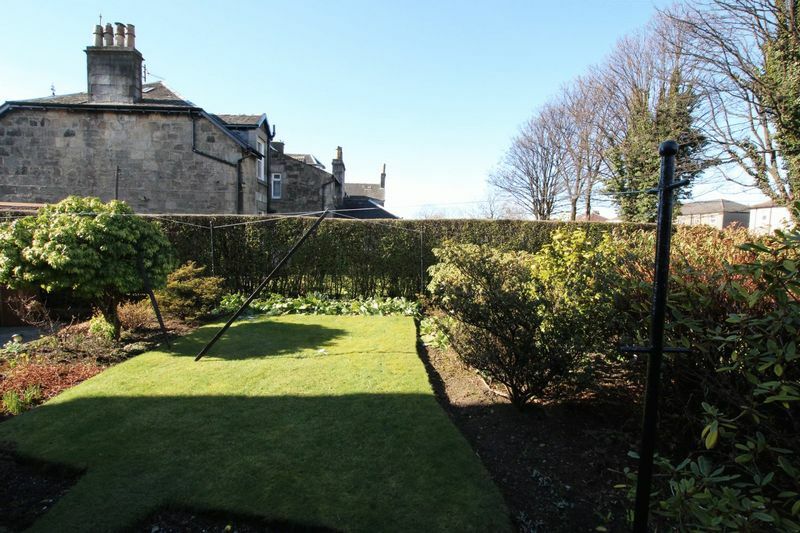 Local shopping, sports and recreational facilities, primary and secondary schooling and regular public transport. Dumbarton East railway station offers 4 trains per hour to Glasgow City Centre and also direct to Edinburgh Waverley. The nearby trunk roads, A82 and A814, give access to the motorway network and, together with local bus and rail routes, provide easy commuting to most major towns and cities throughout the western and central belt of Scotland. Glasgow City Centre and international airport are 20 minutes’ drive.